Bed bugs are an increasing problem here in Northern Colorado, and to combat these pests, you will want to implement the most effective bed bug treatment. Once you have an infestation, it will not disappear on its own. Bed bugs are unlike other insects, as they don’t just go away with store-bought chemical sprays. What’s more, they hide in various places throughout the home including in the walls, behind bed headboards, inside the folds and creases of upholstered furniture, and more. When it comes to local bed bug treatments, A2B Solutions provides residents in and around Estes Park with the most effective bed bug treatments. At A2B Solutions, we are wholly dedicated to one driving goal: providing safe, effective, and permanent bed bug removal for Estes Park. In our long fight against these intrusive pests, we have determined that the most effective and eco-friendly method for removing bed bugs involves the use of heat. Bed bugs have built up a resistance to pesticides, making costly and lengthy chemical treatments ineffective. Instead, we use clean-burning propane or electric heat, and crank the temperatures in your home above the kill point to 145°, ensuring that our treatment is 100 percent effective. Get Rid of Bed Bugs for Good! Don’t waste your hard-earned money and time on ineffective bed bug treatments that could take months to even begin showing results. Rather, choose the bed bug exterminators who use the most effective methods for removing those unwanted pests for good. As the Top Rated Local® bed bug removal team, A2B Solutions will eradicate bed bugs from your home in one treatment that lasts eight to twelve hours—it’s the most effective, one and done solution. If you or someone you know is experiencing a bed bug infestation, call our team today and request a free consultation.  Remember, every bed bug heat treatment comes with a one-year guarantee! Call today! Check out our FAQs and Debugging Bed Bug Myths pages to learn more about our bed bug treatments.